The attraction of Africa, and its abundance of natural resources, is undeniable. In 20 years, foreign direct investment (FDI) rose by 853% from just over $6bn in 1994 to $57.2bn in 2013, compared to a global average of 466% growth. It is unsurprising then that the increase in African-related arbitration has been robust. Where international investment goes, disputes invariably follow. Any multinational worthy of the label has to be in east and south-east Asia. The scale of the market, its manufacturing base, and its growing consumer population make it impossible to ignore. In cyber security circles, it has already become a hoary cliché to claim that there are two types of companies: those that have been breached and those that have yet to discover they have been breached. This rang particularly true this year when JPMorgan revealed that 76 million households and eight million small businesses were exposed to its data breach over the summer. An unprecedented wave of global enforcement has pushed risks facing banks to once unthinkable proportions. In the follow-up to our banking litigation Insight with Stephenson Harwood, bank counsel discuss managing the biggest risks in global business. Alex Novarese reports. Disaggregation. If someone wanted to identify a keyword to describe what legal process outsourcers (LPOs) do (and identifying keywords and clauses is part of what they do), this word would have to be top of the list. 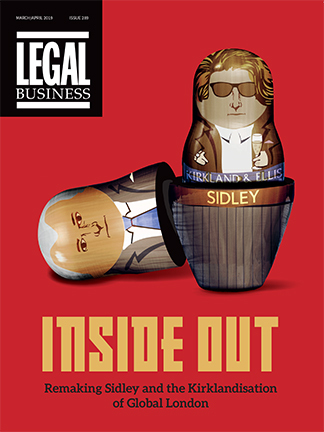 It’s a buzzword that forms a big part of the dialogue used by proponents of legal process outsourcing, be they industry insiders or the clients themselves, and its meaning applies not only to the work they do, but to the effect that LPOs, and other alternative sources of legal work, could have on the legal sector as a whole.